dedicated to oneness, is the fastest growing Islamic lifestyle channel in the UK, Europe and worldwide. With the growing vibrant ethnic media industry in the UK, there was a still a gap that required to be filled. A channel that would provide high-quality viewing across 4 generations of Muslims in Britain, a channel that would provide a different and more vibrant bouquet of programmes which would be spiritually and educationally beneficial. The team behind TV One brings together decades of experience in media, a reputation with a proven track record in innovation, forward thinking and an untenable desire to serve the public. In a short period of time TV One has attracted a rapidly growing viewership and established itself as a channel of choice for thousands of households. TV One aims to uphold an open door policy and welcomes people of all walks of life and the growing corporate community to be a part of this exciting journey. TV One produces and broadcasts programmes, which are original, educational, informative and entertaining, while at the same time providing a platform for the untapped vibrant talent across the UK and around the world. With a strong creative team, TV One produces majority of our programmes in-house. With state-of-the-art studios in an easily accessible location, we are able to source the best talent and produce high quality programmes from concept to reality. The truth is that best practices in innovation have moved far beyond creative brainstorming. The most consistent and successful innovators don’t rely on chance. They have invested in building reliable innovation processes and structures to repeatedly find new opportunities that make sense for their company. Through our history of helping large or small organisations by tailoring their innovative needs, we have identified innovative ideas for their business visually. This has proven to increase their revenue and to target a wider range of clients. TV One, as a channel, underwent a lengthy period of incubation before the decision to launch the Channel. With the growing vibrant ethnic media industry in the UK, there was a still a gap that required to be filled. A channel that would provide high-quality viewing across 4 generations of Muslims in Britain, a Channel that would provide a different and more vibrant bouquet of programmes which would be both spiritually, educationally beneficial and provide wholesome entertainment and viewing for the whole family. 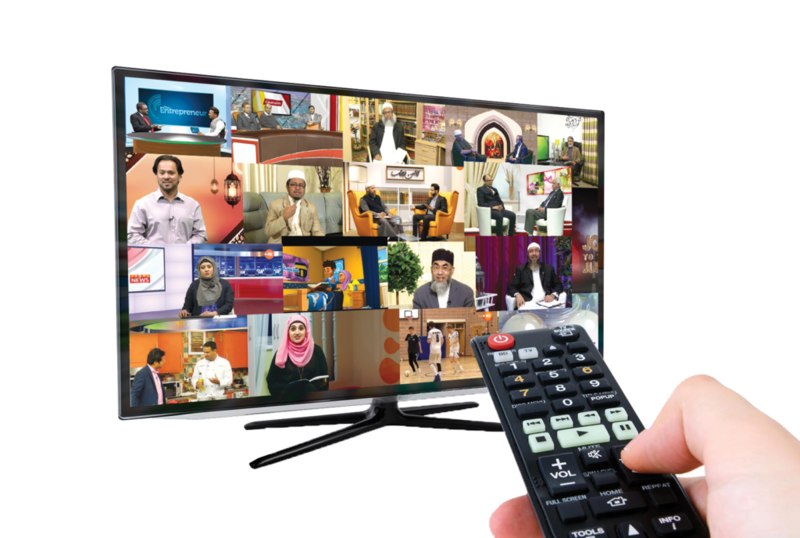 TV One is already playing an important role in a multicultural, diverse society, helping towards uniting the community and community cohesion as well as responding to the spiritual and educational needs of Muslims worldwide. TV One aims to uphold an open door policy and welcomes people of all walks of life and the growing corporate community to be a part of this exciting new journey. In a short period of time TV One has attracted a rapidly growing viewership and established itself as a channel of choice for thousands of households and is already playing an important role in a multicultural, diverse society, helping towards uniting the community and community cohesion as well as responding to the spiritual and educational needs of Muslims worldwide.